On Monday, April 16, many were heartbroken after hearing that the Notre Dame cathedral in Paris, France had caught fire. The photos and videos of the flames engulfing the iconic piece of history devastated not only the city’s residents, but individuals worldwide. 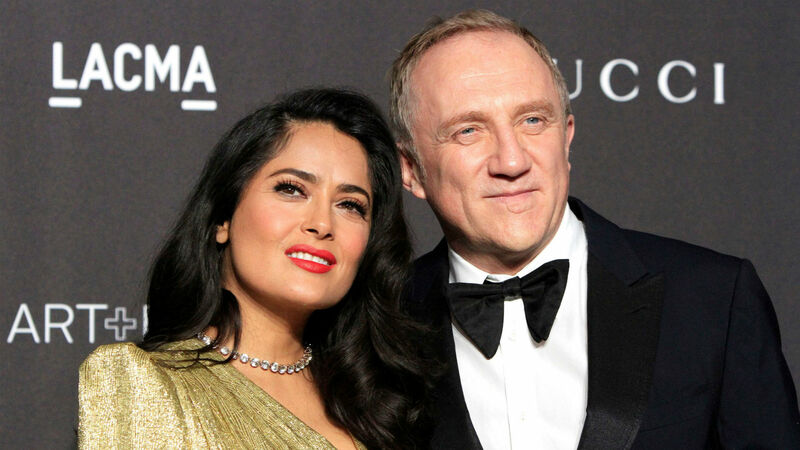 Now, it looks like Salma Hayek’s husband François-Henri Pinault wants to help rebuild Notre Dame anyway he can, but specifically by donating a massive sum of money to the reconstruction. As reported by CNN, €100 million is an estimated $113 million in U.S. dollars. CNN also reported that another French billionaire has pledged a large amount to help with the rebuilding. The LVMH Group that owns Louis Vuitton, Christian Dior and Givenchy revealed on Tuesday that the company and the family of CEO Bernard Arnault were pledging $226 million to the cathedral. If you combine this pledge with Pinault’s, that makes a total of $339 million. ABC News reports that officials consider the horrific fire an accident and that it may have stemmed from the cathedral’s recent restoration work. As tragic as the fire was that destroyed the spire and the roof, the twin bell towers are still intact. There’s no denying the burning of Notre Dame is saddening, but it has also brought many people together. So much so, individuals like Pinault are pledging millions of dollars to help breathe life back into the historic structure.